Duette blinds are a fantastic innovation in the blind sector, offering a perfect mix of aesthetic quality and functionality. Using energy-saving technology, Duette blinds offer a combination of insulation and filtration of sunlight, making them perfect for any home. Not only do Duette blinds look brilliant and function equally well, they can also save you money on your energy expenses. Having inefficient windows has been proven to cause up to 50% of the home’s heat being lost, so with Duette blinds you are benefiting from a double bonus of aesthetic quality and a warmer home. Duette blinds use a honeycomb structure which allows them to trap air inside and use it to insulate your home – a great feature is their ability to keep heat out on warm days, and retain it in winter, helping you save money and control the temperature of your home much more efficiently. 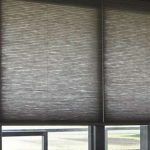 Here at Humberside Sunblinds, we offer customers in Grimsby and Cleethorpes a range of superb quality, made-to-measure Duette blinds that are custom-made to meet your specifications. If you would like to know more about our bespoke blinds, please get in touch with us today and we’ll be more than happy to help.